Rules only run on your inbox. They don't run on other folders. 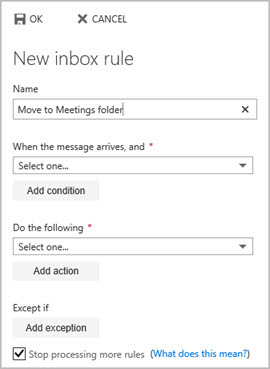 Rules are applied to incoming messages and can be created from any folder. 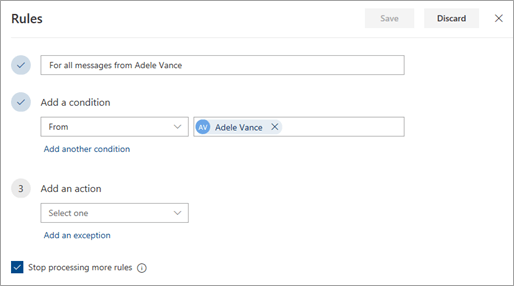 To quickly create a rule that moves all email from a specific sender or a set of senders to a folder, right-click a message in your message list that you want to create a rule for, and select Create rule. Choose the folder where you want all messages from that sender or set of senders to be moved, and then select OK. Select OK. The rule will be applied to all incoming messages. If you'd like to run the rule on your inbox immediately, select the check box for Run this rule now in Inbox. Note: Currently, you can only run rules in which a message from a sender is moved to a folder. You can't run other rules, such as those that use a message title or mark a message as unread. If you'd like to do more than just move the message from a specific sender or set of senders to a folder, select More options. The rules settings menu will open. If you don't want any more rules to run after this one does, select the Stop processing more rules check box. 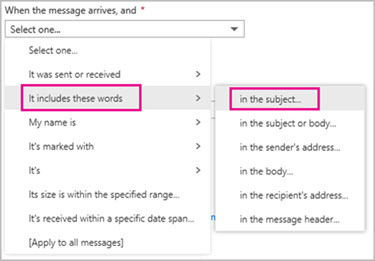 For more information, see Stop processing more rules in Outlook on the web. In the rule you want to edit, select . 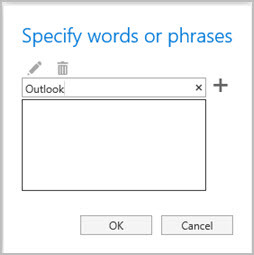 Note: Some rules created in other versions of Outlook can't be processed by Outlook on the web. You won't be able to run or edit the rule in Outlook on the web. In the rule you want to delete, select . Tip: If you just want to turn the rule off for a while, select the toggle next to the rule. Inbox rules are applied to incoming messages based on the order they're in within the Inbox rules list. You can arrange the order in which the rules you create are applied to messages coming into your inbox. Select a rule, and then use the Up arrow or Down arrow to change the order in which the rule is applied to incoming messages. Select next to the rule you want to run.